Even though there are sites at which you can play poker for free, most poker fans eventually migrate to the real money sites. The reason involves more than merely the social aspect of the game. You can find that almost anywhere. The motivation to play real money online poker goes much deeper. It involves the rush of adrenaline you’ll feel when squaring off against opponents. You’ll be putting up your own cash for the chance to take someone else’s. In some cases, you’ll be the least experienced player at the table. This won’t last long. When you play real money poker online, education comes quickly. Other times, you’ll be one of the most experienced. This gives you a chance to build your chip stack while giving others a valuable education. Below, we’ll take a quick look at the differences between online poker rooms for U.S. players and those that draw EU players. We’ll also present a few key tips that will help get you started. U.S. poker players are prevented from playing at a large number of high-profile poker rooms, namely those that cater to European players. If you have ever played the game at a site that is geared toward European poker fans, you’ll have noticed a few differences. For example, in the U.S., players tend to raise and fold before the flop. In Europe, there’s a lot more calling pre-flop, which means there are more players who go deep in the hand. Another difference is that U.S. poker sites draw far more player traffic than EU sites. You’ll rarely have a problem finding others to play with, especially at the low stakes holdem tables. To be sure, you’ll find plenty of action at the Euro poker rooms during the peak times of the day, but otherwise traffic wanes substantially. The last difference worth mentioning involves the poker software used in the U.S. and EU. 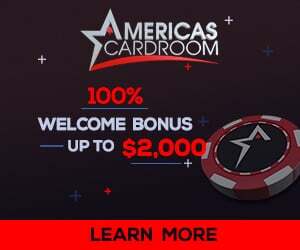 When you play real money online poker at the top U.S. poker rooms, you’ll enjoy intuitive, stable software where everything is easy to find. Not so at the European sites. There, the software often lacks an intuitive look and feel, making it difficult to find your way around. These suggestions are geared toward beginners since they are the players who need the quickest education. First, learn your starting hands in relation to your position at the table. Starting hands in an early position should be stronger than those played in a late position. Second, tighten up your game. One of the biggest mistakes new players make when they play real money online poker is to play too loosely. If you’re seeing a high percentage of flops, you’re doing something wrong. Play tight, and don’t be afraid to fold early. Third, get accustomed to reading the table cards quickly. When you play offline, you have more time to read the flop. Online, the pace is much faster. Practice reading the cards. You should be able to (almost) instantly identify the best hand you can make as well as possible hands your opponents can make. Fourth, if you plan to get involved in tournaments, start small and work your way up. There’s little reason to participate in large tourneys if you’re a beginner since you’re unlikely to go deep (at least, without luck). Spend some time at the smaller events. You’ll risk very little cash, and gain confidence and experience at the same time. One last note: a lot of pro players won’t mention this unless asked, but making money at online poker is about grinding out a profit over time. It’s not about taking down enormous pots. We highly recommend that you join the sites above to play real money online poker. You’ll find that each of them offers a playing experience that is hard to leave behind.